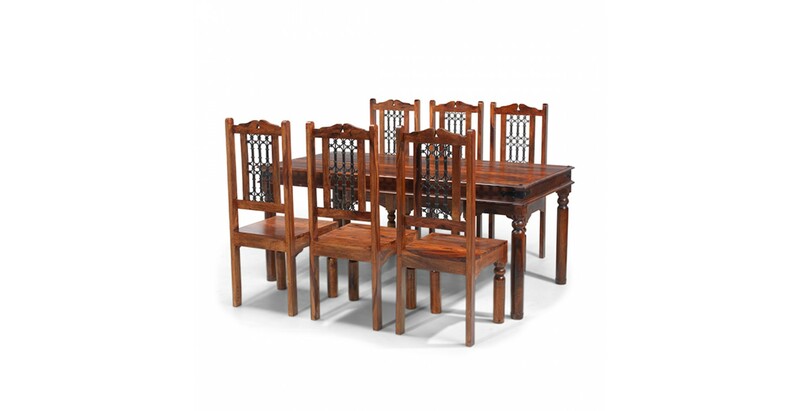 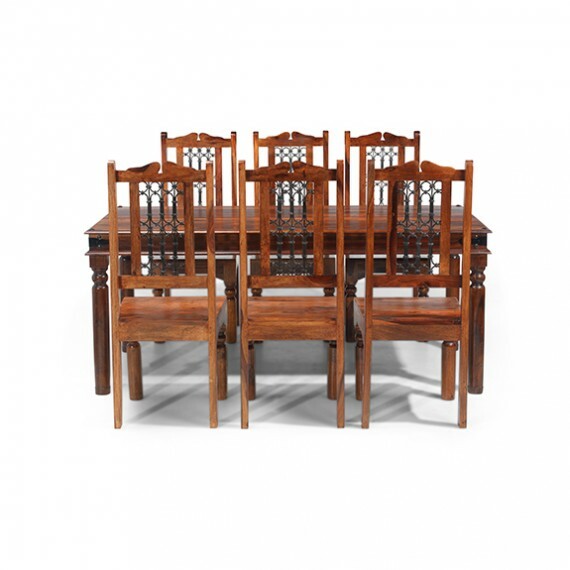 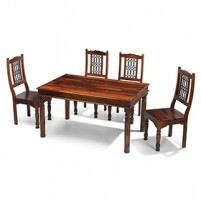 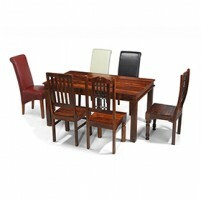 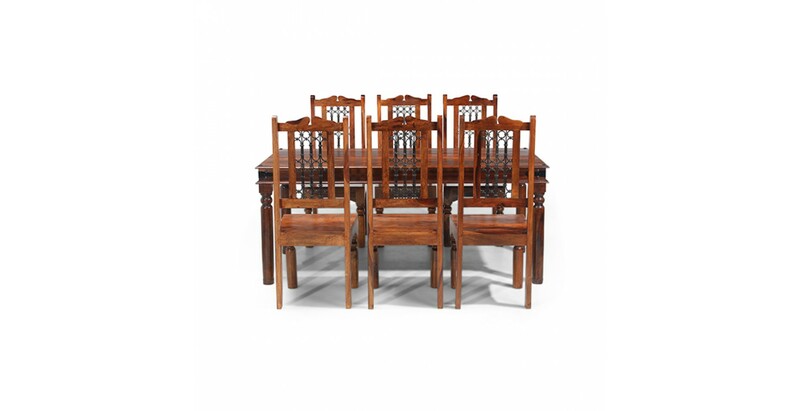 Ideal for a wide range of decors, the exotic charms of this expertly handcrafted dining set will fill your dining space with natural warmth and beauty. 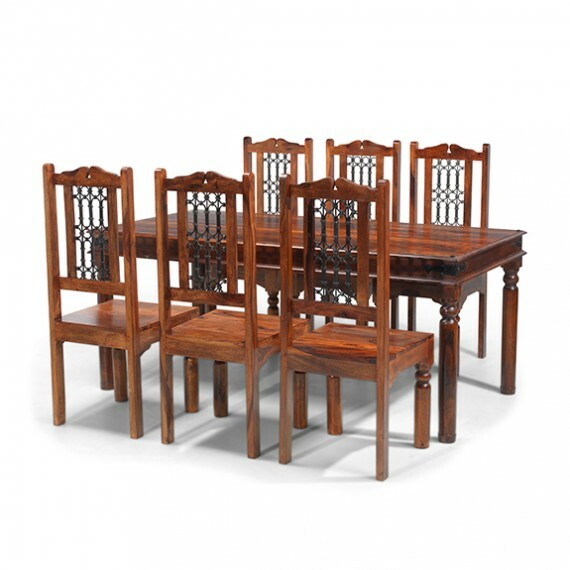 The 160cm dining table is robustly made from sheesham wood and features attractive turned legs and iron studding and corner brackets. 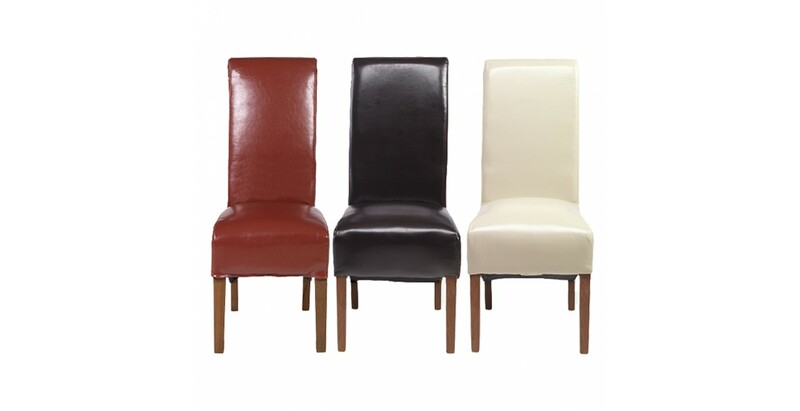 And we've spoilt you for choice with the chairs. 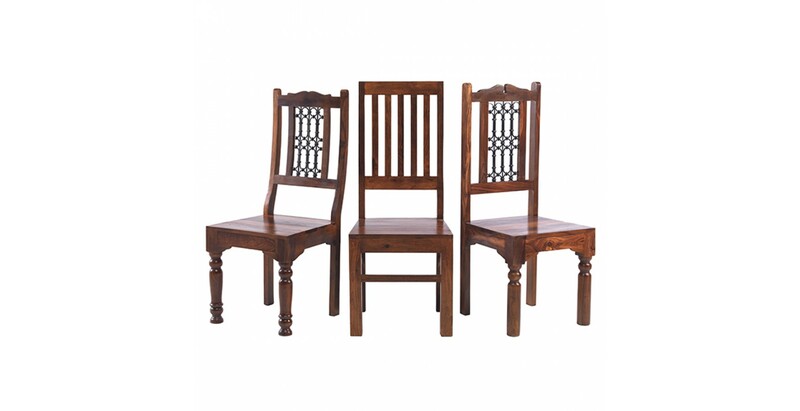 Will the Jali High Back Ironwork Chairs work best for you? 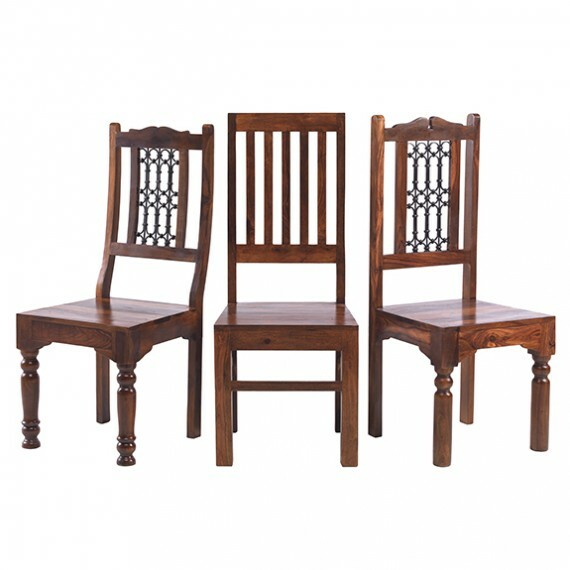 Or will the Jali Low Back Ironwork design be the one? 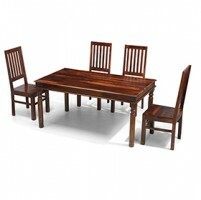 Perhaps the Jali High Back Slat Chairs will come out on top. 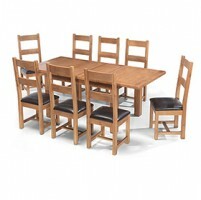 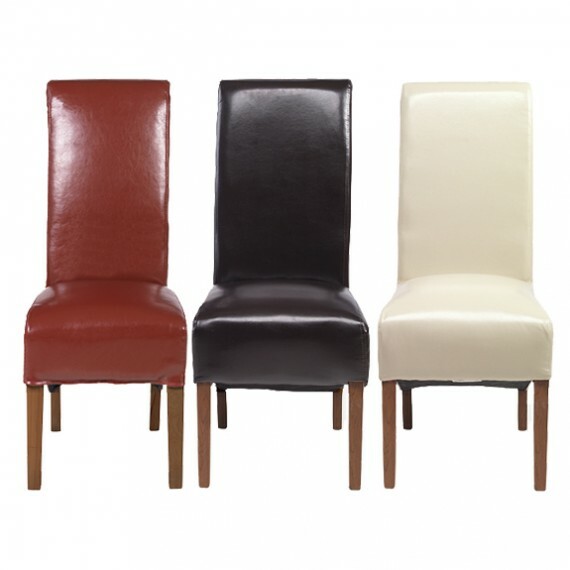 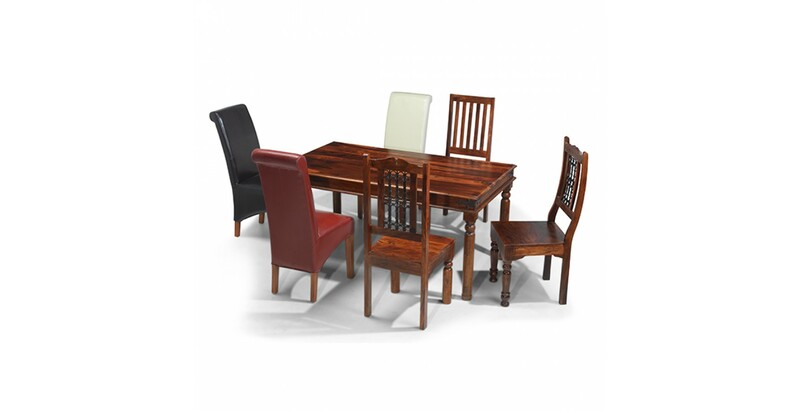 Or do you want to add a modern contrast by picking a set of our super-comfy bonded leather chairs in red, beige or brown? 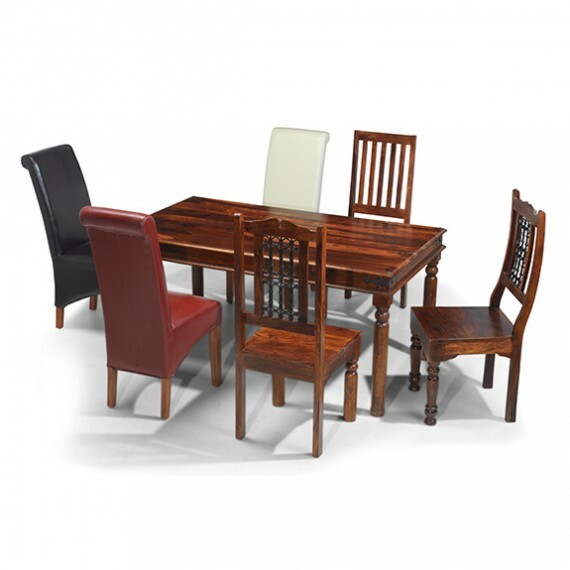 Thing is, they all work well so you can't really go wrong.